Posted on 30th January 2018 at 2:08 pm. Could You Live Any Closer? 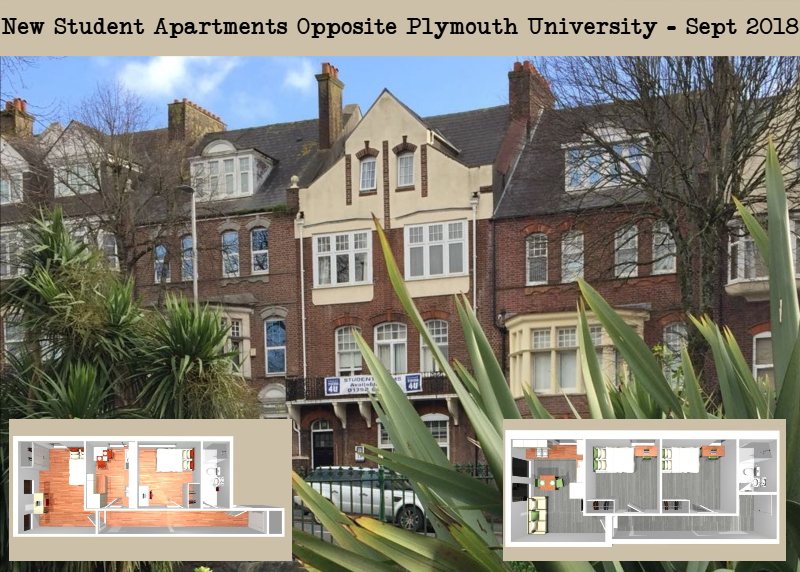 Student Rooms 4 U are now marketing (off plan) 6 stunning, two bedroom student apartments directly opposite Plymouth University – but be warned, if you’re interested you’ll need to act fast as 4 of the 6 have already been let! These stylish student homes offer high ceilings and lovely big windows, some with bays and balconies. Many of the character features from the building’s Victorian heritage remain making for a modern, spacious, light property with more personality than most! The apartments will be furnished to a high standard, have well equipped bathrooms and kitchens as well as soundproofing throughout. 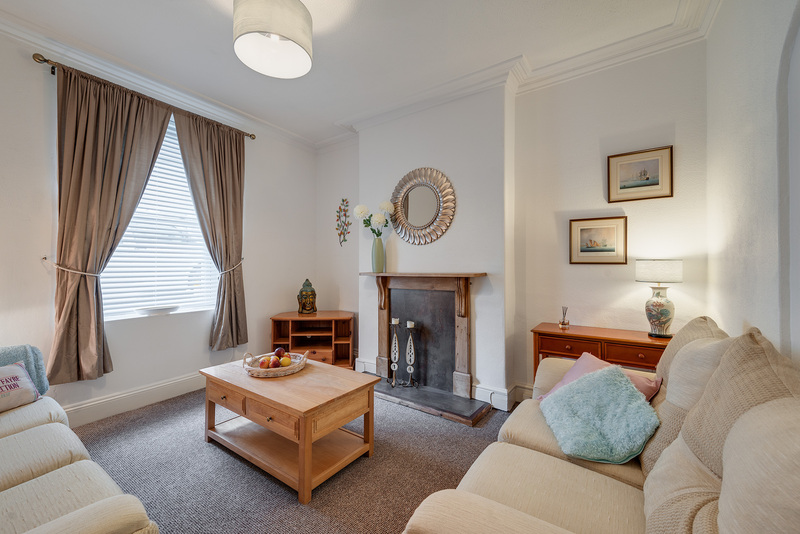 The icing on the cake has to be that these beautiful student apartments are less than a minute walk from the University, and a stone’s throw from Plymouth Art College! …Wake with minutes to spare, cross the road and slip into your lecture; minimal effort, maximum reward! And with bars such as Cuba and Switch a couple of doors down, you never need wander far from home! Currently a charming 15 bedroom property on Queen Anne Terrace, the conversion into individual apartments will be taking place over the summer months ready for occupation in September 2018. Detailed CGIs (Computer Generated Images) and floor plans are available to interested parties as well as a viewing of the current property to allow Student Rooms 4 U to talk through their plans. Once committed a legal contract will be drawn up between both parties providing assurances that the agreed accommodation will be ready for the date set. The flats will be furnished to a high standard, have well equipped bathrooms and kitchens as well as soundproofing throughout. Student rooms 4 U will not require a deposit or charge any unnecessary administration fees, purely a £250 non refundable reservation fee which will act as a contribution to your first terms rent. The contract is for 46 weeks and starts on the 20th September 2018. Inclusive prices start from £110 per person, per week. Because Student Rooms 4 U both own and manage their own properties, they have a vested interest in ensuring that they are maintained to a high standard, their maintenance service and response time being exemplary! By cutting out the middleman or agent, they ensure you get an efficient and thorough service.